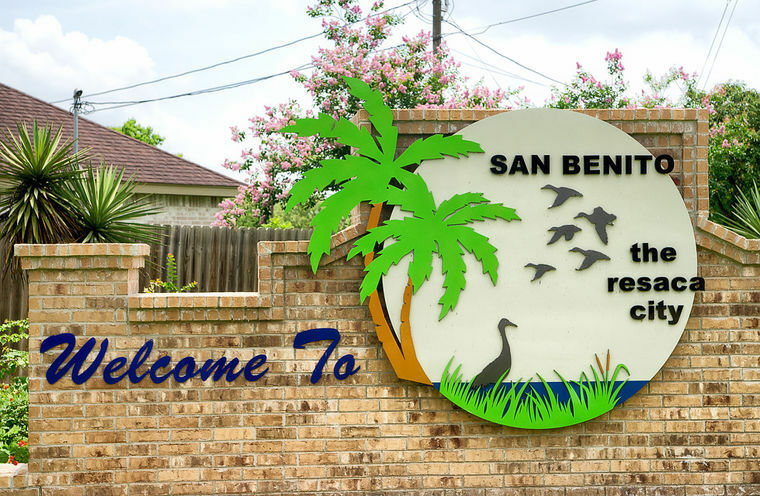 SAN BENITO — Nearly 10 years ago, the state cited the city for nine sewer spills near the banks of the Arroyo Colorado. For the past five years, the city has been working to comply with a 10-year state program aimed at upgrading its sewer system to avoid penalties stemming from the spills. Now, city officials are planning to borrow about $10 million to upgrade six sewer lift stations to comply with part of the Texas Commission on Environmental Quality’s mandate, City Commissioner Esteban Rodriguez said. As part of an agreement, TCEQ has given the city until March 2023 to comply with numerous requirements aimed at upgrading its sewer system made up of 40 lift stations, 465,000 feet of sewer lines and 1,300 manholes. “The city has actually made substantial progress and is ahead of schedule on many of the items in the agreement,” city spokeswoman Martha McClain stated. McClain said she did not have information on the project’s cost to the city. “No cost figures are readily available for the work completed on this project, as it stretches over several years,” she stated. In 2011, the city sold about $7 million worth of certificates of obligation to borrow money to help launch the project, according to city-contracted engineer Victor Gutierrez, who continues working to upgrade the sewer system. Then in October 2012, the city entered into an agreement with TCEQ to participate in its Sanitary Sewer Overflow Initiative program. “The agreement requires the city to take actions to rehabilitate its wastewater collection system to reduce risk to the public and the environment and to comply with TCEQ requirements,” agency spokesman Brian McGovern stated. The program “is very common” in Texas, with 146 cities, counties, utility districts and other entities participating, spokesman Andrew Keese said. As part of the agreement, the city has avoided penalties stemming from nine discharges totaling 49,000 gallons from November 2009 to January 2010. “Participation allows the city to direct resources toward corrective actions rather than having to pay penalties associated with an enforcement order in addition to corrective actions,” Keese stated. Meanwhile, the agency agrees not to enforce further violations. “Under this program, participating systems such the city are not subject to formal enforcement by the TCEQ for most continuing SSO (Sanitary Sewer Overflow) violations as long as the overflows are addressed by the SSO plan,” McGovern stated. The city could face penalties if it fails to comply with requirements. “If the city fails to comply with the terms of the agreement, they may be removed from participation in the program and would then be subject to enforcement for future unauthorized discharges which could include the issuance of an administrative order with penalties,” McGovern stated. So far, the city has upgraded lift stations, improved thousands of feet of sewer lines, repaired or replaced hundreds of manholes, turned its old sewer plant into a wetlands area and made many other improvements, according to Gutierrez’s report. However, the city has failed to submit any required annual progress reports, Keese stated. The agency is not penalizing the city for failing to submit the reports, Keese stated. “The city is working closely with TCEQ, at both the regional office in Harlingen and state office in Austin, in meeting all of our obligations,” McClain stated.